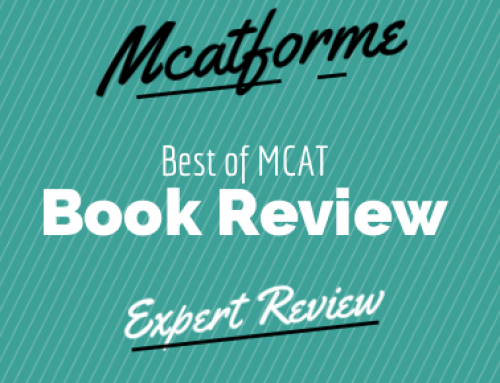 With the recent changes in the MCAT 2015 exam, this Princeton Review MCAT General Chemistry Review book is the best MCAT Chemistry book for the 2015 MCAT. Having great content with several practice tests, this book will provide consistent help to those students aiming to improve their MCAT score. The new MCAT exam just a few months around the bend, everyone must be scrambling to find the best MCAT prep books to help with a few extra hours they need to spend preparing for this humongous event. And if you haven’t found the right resource, do not give up just yet. Perhaps, one of the most interesting and quite challenging topics to study and review for the MCAT exam is General Chemistry. For one, GenChem has various concepts that can be difficult to remember. It’s sort of like Math in disguise as a Science. Others see it as a combination of both. Whether you think of it as a science or mathematics, you would still need the best MCAT prep book for General Chemistry to help you ace your MCAT exam this January. 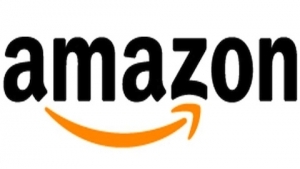 If you’re one who has ransacked local and online bookstores for MCAT review books, surely you have come across popular MCAT reviews such as Kaplan’s, Examkrackers, Berkeley and of course, Princeton Review, which has a complete book series that provides not only review materials for General Chemistry but covers other MCAT subjects as well. 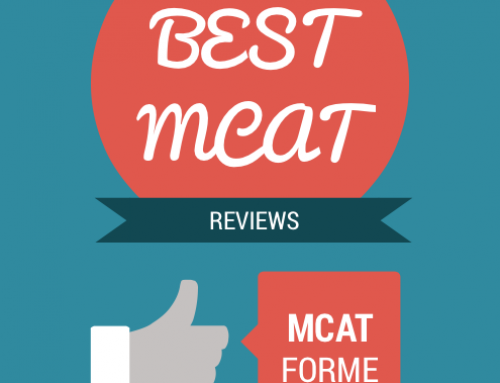 And if you happen to have visited mcatforme.com, it has a list of the best MCAT prep books and materials that you can check out. Why MCAT General Chemistry Review: New for MCAT 2015? The answer is simple. 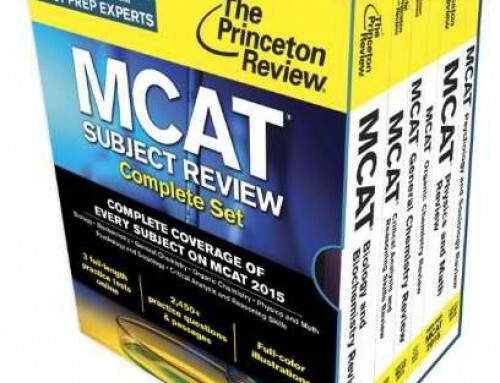 Princeton Review MCAT Subject Review Complete Set is our first choice when it comes to comprehensive review books for MCAT 2015. 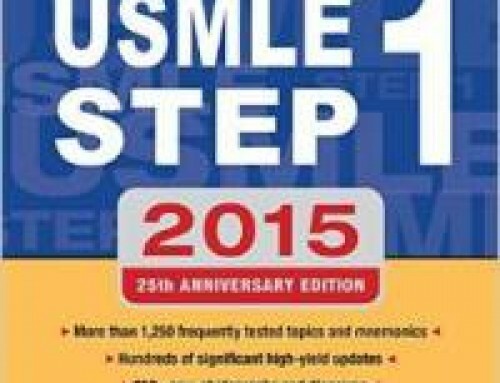 It has more than 2400 MCAT practice questions and 6 books to guide you through each topic. 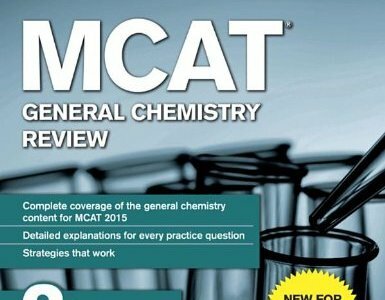 And to assess this book, the MCAT General Chemistry Review: New for MCAT 2015, is basically of the same caliber, especially in terms of quality and similarity of content. 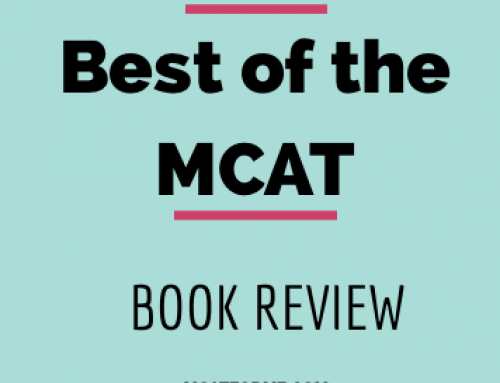 It goes into in-depth review of the key concepts and important chemistry topics, relevant to the questions that you will encounter in the actual MCAT exam, and unquestionably one of the best MCAT prep books that lets you hit a bull’s eye! The book has as many pages as most MCAT review books from Kaplan’s. But we consider it the best of its kind since it covers most challenging general chemistry topics in an in-depth fashion and structured approach. It also outlines a very strategic guide and effective test-taking techniques that will surely help you and boost your confidence in taking the upcoming, new overhauled MCAT exam in 2015. In addition, you also get access to three (3) full-length online MCAT practice test, and it comes free when you get one of the best MCAT prep books for General Chemistry. Similar to most Princeton review books, it has gone through thorough quality assurance review before it was released to the market. And several revisions have been made as well before its release, to ensure the highest quality and the most comprehensive material for MCAT 2015. It is not one of the best MCAT prep books for nothing. Plus, it outlines great, helpful strategies and techniques that will help you get through the exam quick and with score soaring high! 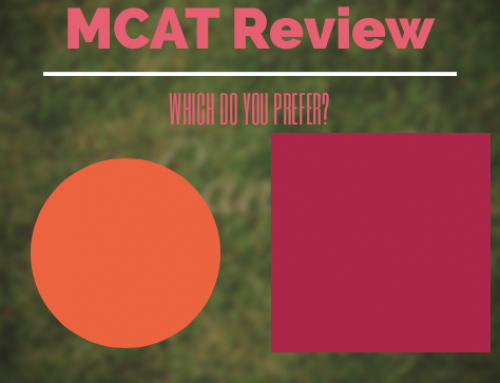 In our opinion and experience in going through a hundred different review books for MCAT, Princeton Review has done a highly commendable job in teaching the right amount of content that students need in order to successfully pass the MCAT exam. Its secret is always having enough in-depth content but never going overboard and providing too much detail that might bombard students. Princeton’s MCAT General Chemistry Review also has a good number of MCAT practice questions, problems and examples that have detailed explanations. The only thing that I think may be an issue with this book is that you need to have really good background in Chemistry. Otherwise, you have to fill in some gaps with other supplementary materials. Nonetheless, it surely covers all the basics needed for a review. Personally, this is a great deal for a comprehensive review on General Chemistry. For only $32.11 from Amazon, you get 3 full length online MCAT practice exams, comprehensive review coverage on the basics of General Chemistry, bulletin chapter summaries and clear, high quality illustrations in full color! 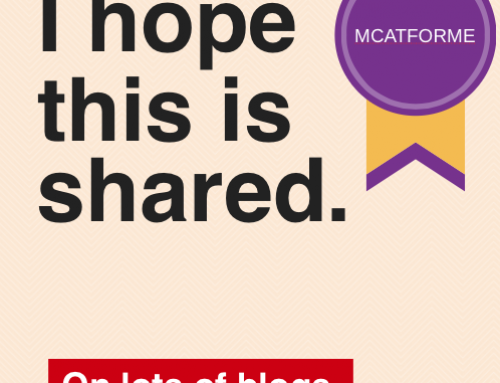 It should get you well equipped for MCAT GenChem. However, to ensure overall preparedness, you should get the complete 6-book set. 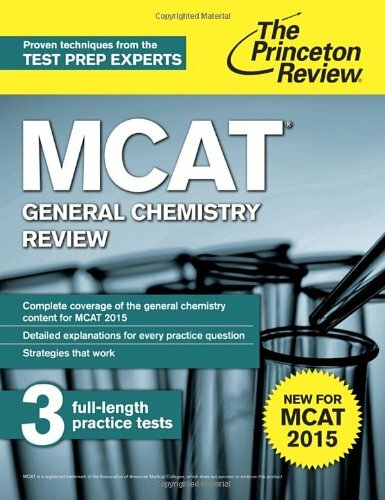 MCAT General Chemistry Review: New for MCAT 2015 is available both on Princeton Review website and Amazon.com. Overall, the MCAT General Chemistry Review: New for MCAT 2015 is one of the best, if not the best MCAT prep books for General Chemistry. It is a phenomenal studying tool that explains concepts in-depth but is not excessively wordy. The material is great, from images and illustrations, to bulleted points and quality content coverage on the basics that are highly essential for MCAT exam review. 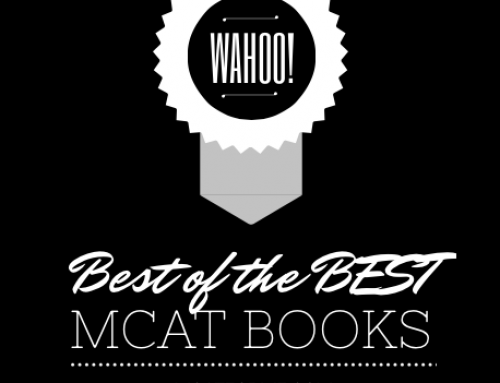 The Princeton Review MCAT General Chemistry Review is part of our Best MCAT Chemistry Books. See where it stacks up!